Sell Your House fast in Columbus Ohio-Net the Most the Market will Allow! 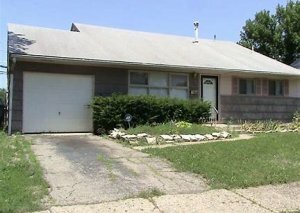 Buyers for Columbus houses without repairs being done. Click Here – To receive a free home sellers guide to Compare your Options when you Sell Your House Fast in Columbus Ohio! Before you commit to listing with a Columbus OH Real Estate Broker, learn how a direct sale to Central Ohio Real estate Investment LLC, can benefit you! is buying Franklin County homes with cash! Want to know the process? Click Here or watch the video below! Sell your Columbus OH House Fast, Receive Cash, and Forget About it! Central Ohio Real Estate Investment will Buy your House in Central OH with a Direct Sale! Get the most the market will allow when you sell your house fast in Columbus Ohio! Before you commit to listing with a Columbus OH Real Estate Broker, learn how a direct sale to Central Ohio Real estate Investment LLC can benefit you! Central Ohio Real Estate Investment LLC is committed to getting you the best price the market will allow, in the shortest amount of time. For the past 2 years, Central OH Real Estate Investment LLC has focused on serving Columbus Ohio Home Sellers with integrity, understanding and professionalism. We provide a licensed Realtor that handles every transaction. So you can rest assured the sale of your Columbus OH House is completed according to the Ohio Real Estate Laws. CORI Limited Liability Company’s mission since starting our business, has been to help homeowners sell their house fast in Columbus Ohio, by paying great cash prices for unwanted Central OH Homes. In some situations, listing the property is the best choice, and in many others, a direct sale saves time and money. A great cash price with a fast closing, has been the preferred way for the many people Central Ohio Real Estate Investment LLC has helped each year. A quick sale will end your financial obligations for the property’s utilities, taxes, and insurance. This can add up to thousands if you are waiting months for your home to sell. Remember, we has the ability to close on your home in as little as 7 days with a local, reputable title company, on the day YOU choose. We work with hundreds of people each year, all of whom are dealing with unique situations and properties. What is your reason for wanting to sell your house fast in Columbus Ohio? You can sit down with a licensed Realtor and run the numbers, so you make the best decision for YOUR unique situation. Our mission is to help local homeowners sell your house fast in Columbus Ohio and, provide a boost to the local economy by paying great cash prices and fixing up area homes. Are you interested in a no obligation offer? Fill out this short form to get started now! CORI Limited Liability Company wants to help you make the best decision possible for your unique situation. If you choose to sell directly, we will make the process run seamless and stress-free. If you would rather list to sell your house fast in Columbus Ohio , we have a licensed agent in-house, who will work with you to get top dollar for your home! Whatever you decide, the choice is yours alone, but at least know your options when selling your house in Columbus OH! CORI Limited Liability Company is buying houses right now in Columbus and the surrounding areas. Imagine getting a great offer on your property and closing in as little as a week! Find out more today! There is never any hassle or obligation! Have you said, “I need to sell my house now!”? If so, call us today at 614-412-4403 to sell your house fast in Columbus Ohio!